Oak screening surrounded the gardens boundaries. 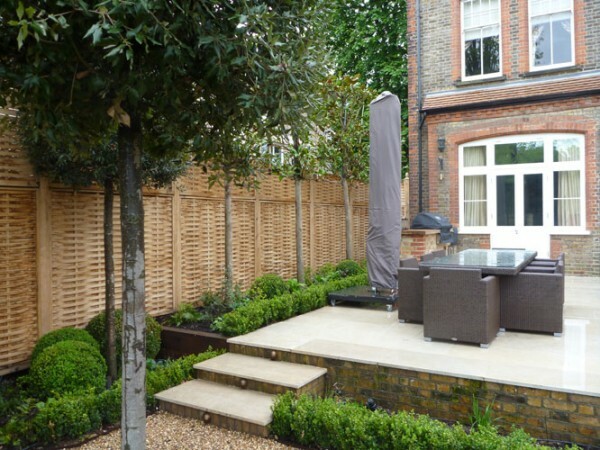 Large pleached Magnolia trees and Quercus Ilex screened the neighbouring apartments. Light IQ designed the lighting scheme. 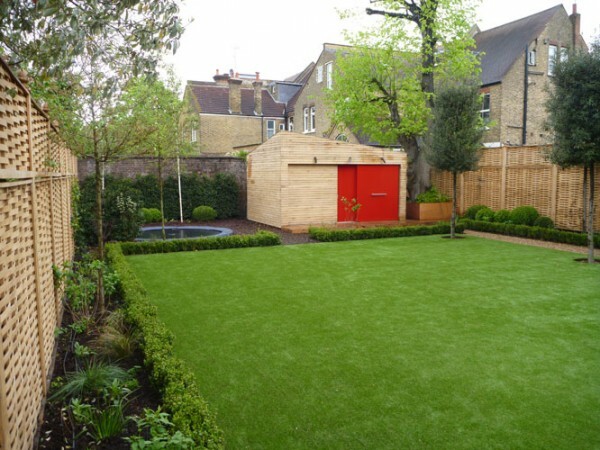 Realistic astroturf was installed, a sunken trampoline implemented and an outdoor BBQ area constructed. 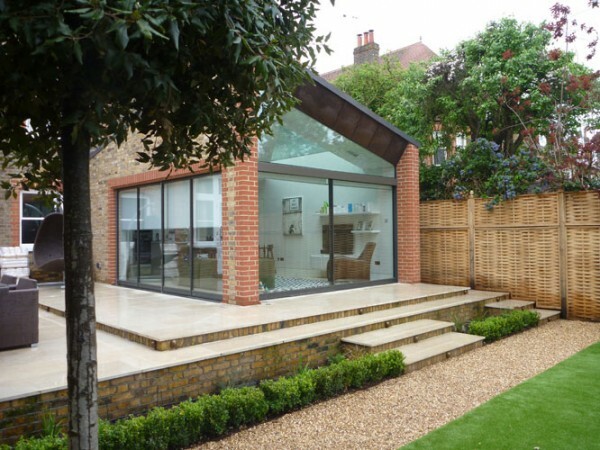 A garden room was built with a sliding screen to protect the main window from balls. 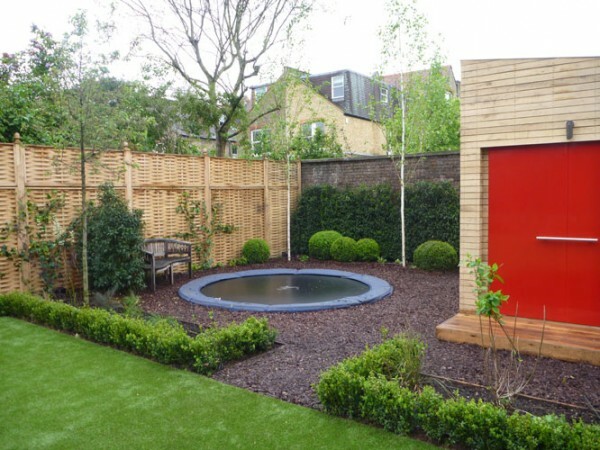 Buxus balls created focal points around the garden.